China blocked Taiwan’s participation in this year’s World Health Assembly (WHA), the decision-making body of the World Health Organization (WHO), over Taiwanese President Tsai Ing-wen’s refusal to endorse the One-China-Policy. Several countries, including Japan, the United States, and Canada have expressed their support for Taiwan’s participation in the Assembly, to which the island has been an official observer since 2009. Taiwan is a country with some of the highest medical standards in Asia and a frontrunner in virology. In light of the WHO constitution, which states that “the enjoyment of the highest attainable standard of health is one of the fundamental rights of every human being”, China’s move is but ignorant to the international medical community, as well as to the well-being of all Peoples and Nations. When the World Health Assembly (WHA) convenes in Geneva on Monday, it will do so for the first time in nine years without Taiwan, a self-governed democracy that also boasts some of the highest medical standards in Asia. Since 2009, Taiwan has been an official observer at this annual World Health Organization gathering, allowing it to participate in the global fight against disease. This year China has blocked its attendance over Taiwanese President Tsai Ing-wen’s refusal to publicly endorse Beijing’s view that the island and the mainland are part of a single Chinese nation. Taipei is infuriated that its exclusion could not only endanger its own 23m citizens, but create a loophole in global health security networks that, it claims, will risk lives across Asia and beyond. 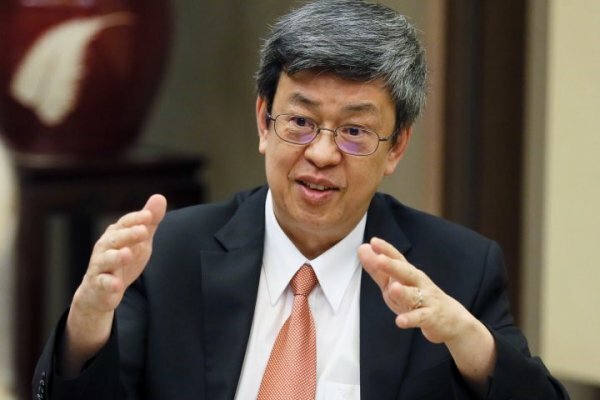 On May 15, Taiwanese Vice President, Chen Chien-jen, sat down with TIME at the presidential office in central Taipei to explain why he believes Taiwan has a “fundamental right” to attend. Not only has Taiwan contributed over $6bn to international health, he says, benefiting more than 80 countries since 1996, but it has made significant medical breakthroughs it would like to share. Chen also warns that disease knows no borders. When SARS [Severe Acute Respiratory Syndrome] devastated East Asia in 2003, Chen, a renowned epidemiologist, led efforts to successfully contain the Taiwanese outbreak, but not before 37 people died and 150,000 were quarantined. The WHO’s initial reluctance to respond to appeals for help, and China’s indifference towards protecting Taiwan, resulted in more casualties, he claims. The support of the U.S. and many other countries for Taiwan’s bid to join the WHA has so far failed to yield an invitation. Chen concludes that the WHO, a non-political body, has fallen under the control of China. Here are excerpts of TIME's interview with Chen, portions of which have been edited for space. Have you completely ruled out a formal invitation to be an observer at the WHA? This year, on multiple occasions, we have clearly conveyed to the WHO our wish to be invited to the WHA for the ninth time. The WHO secretariat has also maintained close contact with us. But we deeply regret and are disappointed that the WHO has not sent us an invitation this year. We call on the WHO to acknowledge the requests of the United States, Japan, Canada and other like-minded countries, as well as international medical and health organizations supporting Taiwan’s participation. The WHO constitution states that “the enjoyment of the highest attainable standard of health is one of the fundamental rights of every human being, without distinction of race, religion, political belief, or economic and social condition.” This time, despite our vigorous efforts in trying to participate, unfortunately we did not get a positive response. I don’t expect that we will receive any kind of invitation, despite the fact that China says that it will take care of all these global health necessities for Taiwan. Last week Beijing specifically linked WHA participation to Taiwan’s refusal to acknowledge the One China policy. Taiwan says that its exclusion will have a negative impact on global health. So should Taipei make a concession for the greater public good on this issue? I think that an issue of political differences shouldn’t override human rights and health security. That’s very important and, according to recent polls, more than 70% of people in Taiwan don’t consider that accepting the [One China policy] should be a prerequisite for Taiwan to participate in the WHA. I don’t think that political interference is good for the WHO. Have you had any discussion with Beijing to try to find a compromise over this, either officially or informally? Yes. Our Mainland Affairs Council has tried to keep in touch with mainland China to express our willingness to participate in the WHA but we did not get any kind of response at all. You were talking about the health risks of Taiwan not participating in the WHA. Could you detail what those health risks are? In 2003, during the SARS outbreak, [researchers from] all the nations in the world except Taiwan had accessibility to the SARS virus and to pandemic information, but we got nothing from the WHO. The only help was from the U.S. CDC. We got the virus from the CDC and started our molecular diagnostics. And then we got outbreak information, but we did not get any help from the WHO. When the WHO asked Taiwan to report all probable cases of SARS we did that, because we consider transparency to be very important for the control of pandemic disease. Taiwan would like to be a good international citizen, especially with regard to global health. We reported all probable cases to the WHO and we also requested help but we got nothing from them: no virus, no information, no control strategies, nothing. We had to struggle and this delay caused Taiwan severe casualties. At that time, we had 150, 000 people quarantined at home and we had school closures. Finally we had 37 deaths from SARS. If we had had the chance to get the virus and all the information earlier, I don’t think that Taiwan would have suffered that much. Are you attributing those 37 deaths specifically to delays in help from the WHO? We reported the cases to the WHO in early March and requested help. The WHO sent a delegation to Taiwan two months later. We also requested the virus but did not get it. This was very important for the early detection of infected people. We needed to have the DNA sequence of the virus in order to perform the molecular diagnosis. You asked if the 37 deaths were due to the delay. I think the entire outbreak control was jeopardized by the delay in information, but I cannot say that all the 37 deaths were due to the WHO’s delay in providing information ... [But] if we had the strategies, the virus, then of course the outbreak could have been controlled much earlier and the casualties would have been much less. Did they give any reasons for the two month delay? What impact did this have on the wider region? Because we are not a member of the WHO. They said that they would ask China to help us. This was the help we got: nothing. This [contributed] towards the spread of SARS in Taiwan, a huge spread. Taiwan has a very high standard of medical care and, presumably, its medical professionals already have good global networks. Why is WHA attendance so important in itself? The reasons are twofold. First, we need the most updated information about global health. For instance, in Taiwan we don’t have [the latest information on] MERS, the Middle East Respiratory Syndrome, and we don’t have Ebola, but MERS and Ebola may come here, and also Zika. Zika cases were imported through our airports. We also had a suspected Ebola case, from a mainland Chinese transiting in Taiwan, so we need to get the most updated pandemic information to have good border controls. Every year more than 60 million passengers stop by Taiwan’s airports and we need to vigilantly monitor for any kind of infection. Also, we would like to get strategies for early diagnosis of so-called mysterious or newly emerging diseases, the diagnosis and how to treat and control them. This information is disseminated and shared in the WHA. The second part is equally important. Taiwan is a good global citizen and we would like to share our experience with all WHO members. For instance, on the control of malaria, tuberculosis, AIDS and Hepatitis, Taiwan has very good experience. Taiwan started the very first nationwide Hepatitis B vaccination program and it was so successful that the WHO adopted the Hepatitis B vaccination as one item of the Expanded Programme on Immunization. Our anti-viral program to control Hepatitis B and Hepatitis C was also appreciated by the WHO. I was invited by the Mongolian health ministry to share our experience and this meeting was organized by the regional WHO office. We can contribute to global health. We are working together with the AIT [American Institute in Taiwan] on ... a training program for the early diagnosis of Zika, dengue and other mosquito-borne diseases. We try our best to share our knowledge and they [medical professionals] come here to attend courses and [get] lab training. A WHO spokesman says that Taiwan already participates in technical meetings so do you not already have access to the information you need? With regard to technical meetings, for more than half of technical meetings we apply to attend, we are totally rejected. My colleague, the deputy minister of health and welfare, said that when we tried to get the specific strain for the influenza vaccine, and tried to attend the meeting to get the flu virus to make the vaccine, we were rejected. We don’t have the access to WHO information. We have access to all published medical literature but regarding global strategy and international collaboration, we have no access to WHO data. You’re unable to obtain that from your own international networks? If we make a special request, they may give it to us, of course, but it will be delayed or selective. President Tsai Ing-wen has repeatedly referred to Taiwan’s contribution to healthcare and disease prevention. Can you expand on this? For cardiovascular diseases, Taiwan is good at screening hyper-tension, hyper-glycaemia and hyper-lipidemia. For our community-based system of taking care of this high risk cardiovascular group, we set up a model. With regard to senile dementia, we developed a Chinese language version for the diagnosis of patients. In recent years we have had booming development in our pharmaceutical industry. Antibiotics for pneumoconiosis have recently been developed in Taiwan and approved by the U.S., Taiwan and mainland China FDAs. We also developed new drugs to treat pancreatic cancer and a new diagnostic tool for early detection of cervical cancer. We have affiliation with the WHO in distributing our antibiotics to developing countries. We are also carrying out clinical trials for a dengue vaccine in neighboring countries. Since we have very good control of malaria, our team has been sent to Sao Tome and Principe and case numbers decreased rapidly. Entire hospitals are almost vacant because malaria patients were all cured. This weekend is the one-year anniversary of President Tsai’s inauguration. Can we expect her to make any statement to try and resolve this or come to a compromise with China over this issue? I think it’s very important, in her mind, that we try our best to keep sustainable, predictable and also consistent cross-strait relations with mainland China. But to participate in the WHA, which is a non-political organization — we don’t consider that any kind of political compromise is a pre-requisite for us. You mentioned you have a lot of support from countries who would like Taiwan to participate in the WHA, yet the invitation has not been forthcoming. So is China controlling the WHO? We would consider that to be yes. If we go back to 2003, when we were trying to get into the WHA to give a presentation, we came across a lot of very unpleasant responses. They said that China can take care of the health of Taiwan’s people, Taiwan doesn’t need to get into the WHA. They will take care of everything. But this is not fact.